And +1 on getting the fastest color. congrats, now break out the razer blade and cut off that rear plastic! Nice clean bike. Just try and leave it stock. +1 x 2 on the fastest color! Welcome to the VTR, you're going to love it! I've got exactly the same bike. The PO used what looks like a sawzall to remove the fender. Not the cleanest job. Heat, razor blade, a little patience and a dremmel did the trick for me. Oh yeah and welcome aboard. 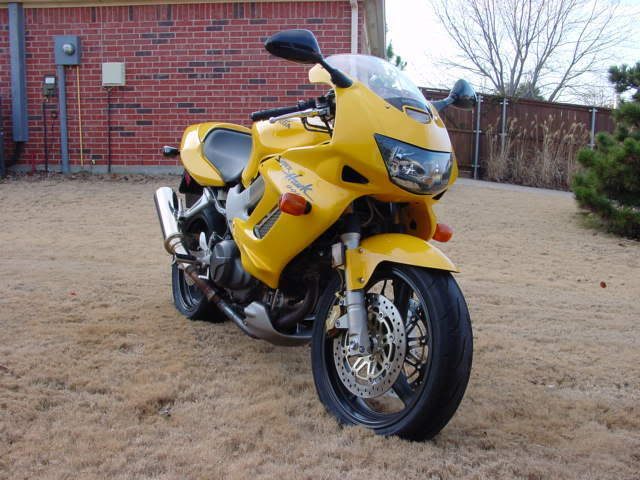 I picked up my yellow '99 last summer replacing an I4 Honda 919. Different beast all togther. Just a fun ride all the way around! Last edited by SD Hawk; 03-12-2008 at 11:45 AM. 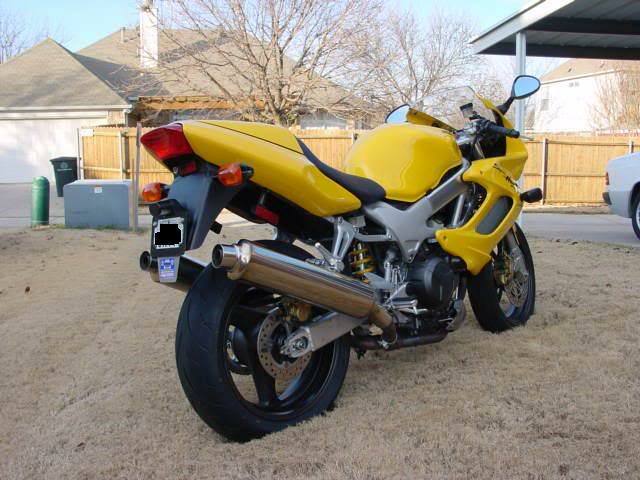 i am sure i will have a ton of stupid already asked questions in the near future ... any hawk riders local to dallas ? Nice, clean bike! You're going to love it. That's exactly how mine looked. Mine had 348 miles on it, with "mild cosmetic damage". I almost drove off the road a couple times looking at it in the mirror, in the back of my truck. I haven't been the same since! Welcome aboard and you are gonna love your bike! 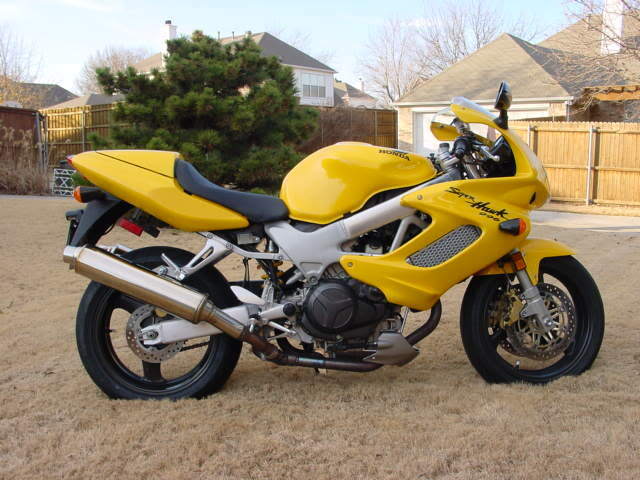 first sportbike in 10 years ...... been riding cruisers lately .... gotta re-adjust to that riding position again ..
Nice bike! Great season coming up in Texas! Yeah, even the mini-ceptor feels like a baca-lounger in comparison. Need to retrain the muscles and VFR clipons will help. looks like a good find...how many miles? Welcome.........But beware the Hawk is addicting. is your garden carpeted ?? and fishface what are you speaking of ? Synaptik, I think he's busting on your brown fuzzy grass...LOL! Knock knock, new owner/member here.